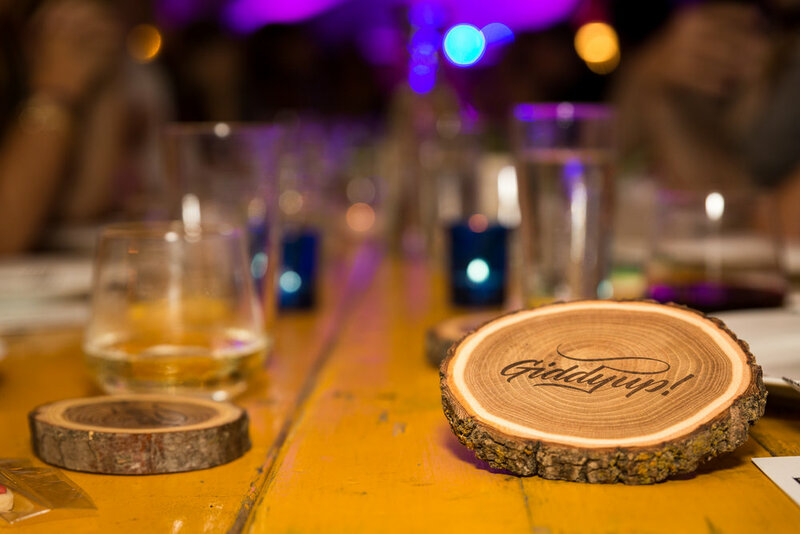 Custom laser engraved wooden coasters — Lasers make it awesome Laser engraving for events and brands. A conversation piece worth raising a glass to. Give your guests an extra reason to say, "Cheers!" 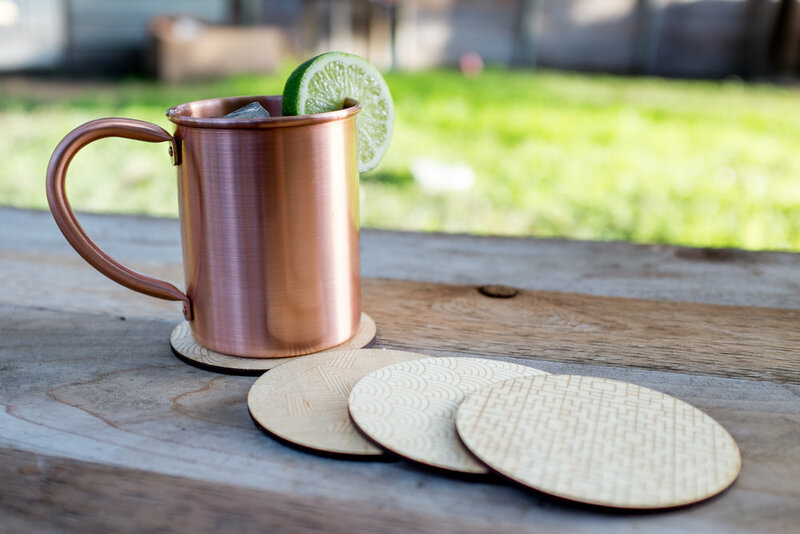 Our laser engraved coasters will add a special touch to your bar or dinner party. It's a stylish way to display your logo or event theme at every place setting. 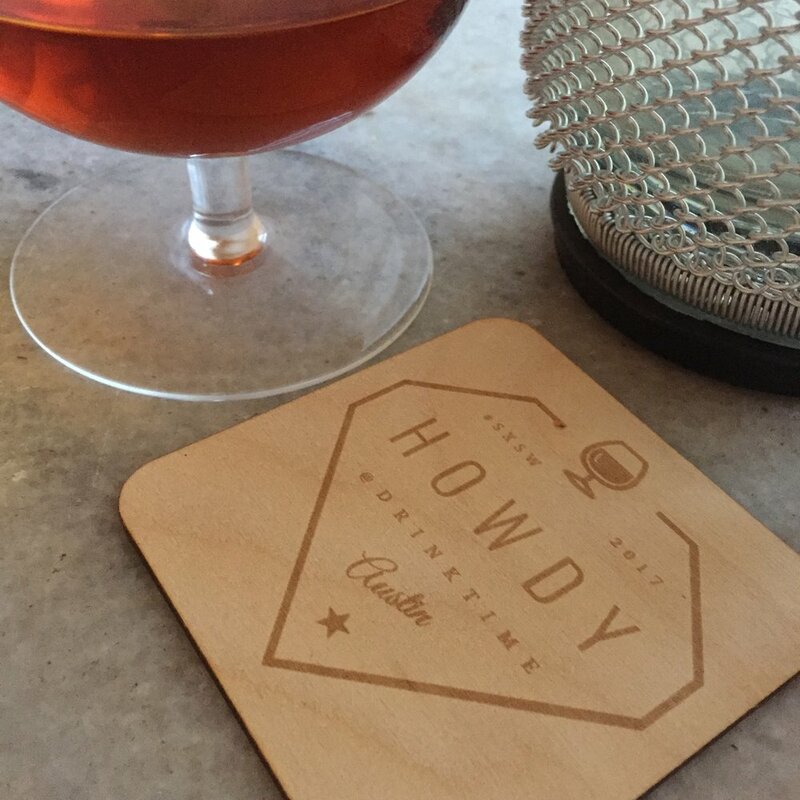 We can even personalize a individual coaster for each one of your guests. 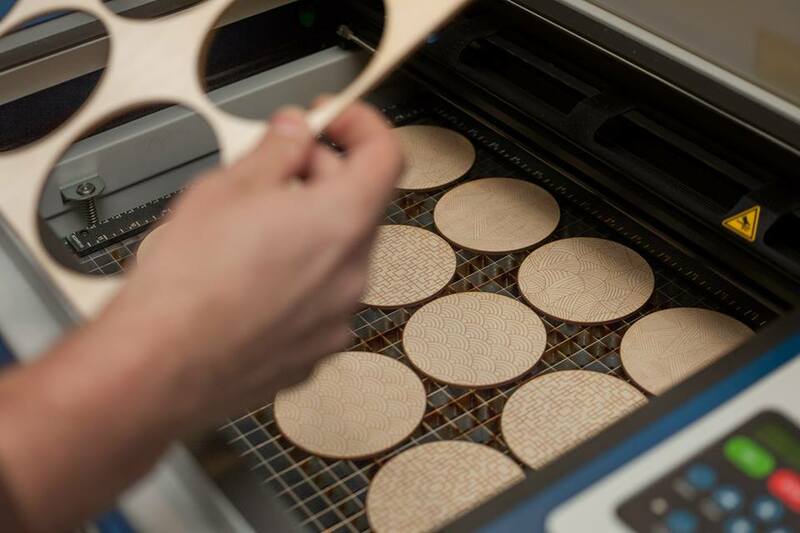 Why settle for cheaply printed paperboard or cork coasters? 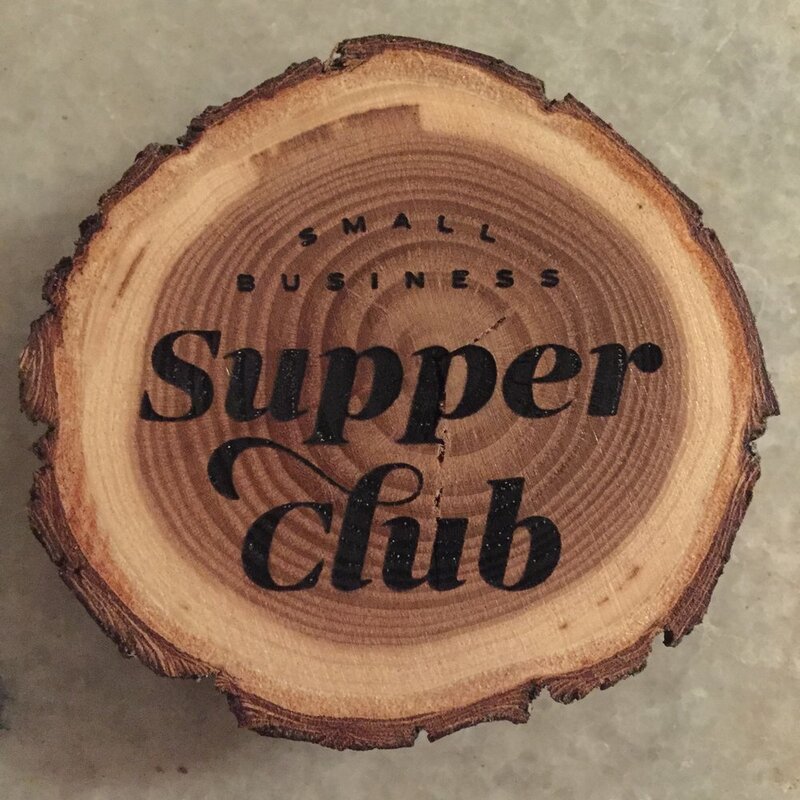 We offer coasters in either laser cut wood or natural log slices..
Our most popular and cost-effective option are wooden coasters cut by laser from 1/8 inch thick baltic birch. Our standard wooden coaster measures 3.5 inches across in your choice of circles or squares with rounded corners. Each is sanded by hand to ensure a smo0th feel. Our log slice coasters are cut from elmwood branches. Size averages 4 inches across but can vary by up to 1/2 inch bigger or smaller. They come with felt pads on the bottom or we can engrave both sides. Double-sided option: If you would like engraving on both sides, there is an additional cost. Wood options: We also offer bamboo (darker with more visible grain) or walnut (a darker wood) and for an additional cost charged by the square foot.